There are a number of ways to use social media and other sharing technologies to keep effortlessly up-to-date with this blog and Irish history in general. Read on for more information. In each case, clicking on the icon will take you to that website. This is the easiest way of all! Enter your e-mail address in the box below. Then each time a new post appears on this website you’ll get an e-mail telling you what it’s about. Note: Irish History Compressed will use your e-mail address for this purpose only. No ads, no spam, no selling your contact details on to third parties! Google Reader maybe a thing of the past, but there are plenty of other RSS feed readers out there. If you follow several blogs, RSS really is the most convenient way of getting notified when a blog you’re interested in posts an update. Click on the icon to access the feed. Blog updates get sent automatically to facebook as well. Click on the link to go directly to the page. “A picture tells a thousand words” may be a cliché, but it’s nonetheless true. Irish History Compressed’s boards on Pinterest contain not just a collection of interesting and evocative photos but also a growing number of info-graphics, annotated maps and the like. 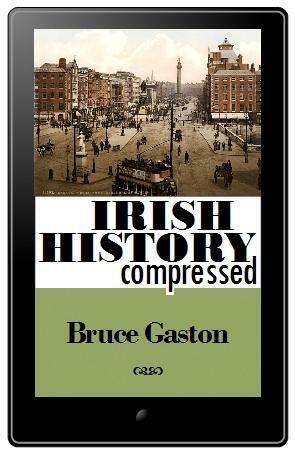 Irish History Compressed is on Google+ as well.